Identifying an industry need, Prairie Technology founder, Bill Osman, had an idea on how to modify over-the-road trucks with sleepers into a “next generation” chassis with multiple applications for vocational and agricultural users. Prior to the formation of Prairie Tech, Bill had a proven history as an innovator, designer, and developer. 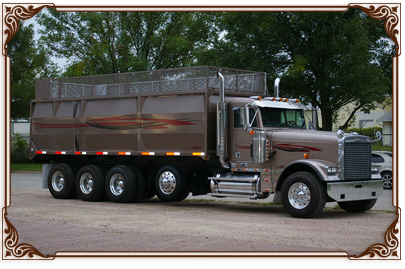 Bill designed the first production integral day cab conversion in 1998 for a Freightliner and delivered it to Colorado. Since that time, he has engineered and designed several new generations of that first Freightliner day cab kit. The Prairie Tech kits were expanded to include most models for Freightliner, International, Volvo, Peterbilt, Kenworth, Mack, Sterling, and Western Star. 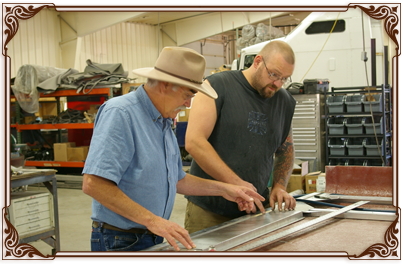 Bill and his wife, Wanda, moved their family from Missouri back to South Dakota, and expanded the business to include a reconfiguration facility to convert sleeper trucks to day cabs. Bill continued to design additional conversion kits as well as truck accessories to compliment the kits. With the expansion of the conversion line, it became apparent that the growth of the company could only be sustained with the addition of strategically located “partners” who could complete the conversions in a professional, economical, safe, and aesthetically pleasing fashion. Select dealerships and body shops continue to be trained and certified throughout North America with an emphasis on quality, functionality, integrity, and value. In early 2013, Bill recognized that the day cab industry was poised to change. Increased production levels of new factory day cabs coupled with shifting economic paradigms would demand a more diverse product line. The development of a new line of after-market parts was introduced in early 2015. A new website was launched at www.bigtruckparts.com to promote and market these practical and cost effective parts. Prairie Technology has the reputation in our industry as the leader in innovation, design, and production of the most functional and cost efficient day cab conversion kits and after-market parts available today. Our mission remains the same today as it did at the time of the founding of the company : To provide the best and most affordable line of sleeper truck conversion kits and after-market parts to meet the diverse needs of the vocational market in North America.